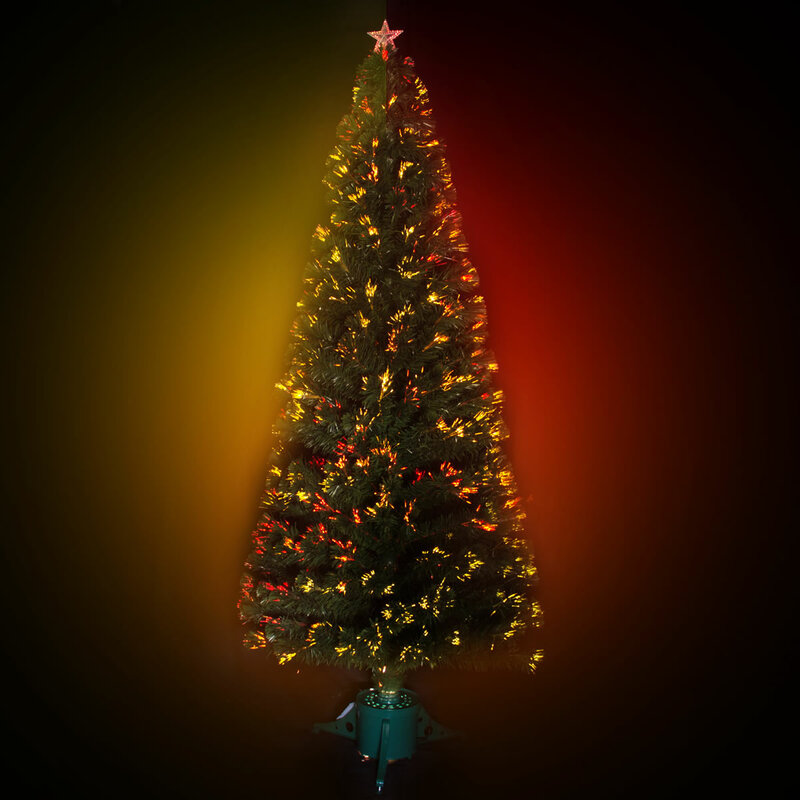 The 210cm Starburst Fibreoptic Christmas Tree makes a statement wherever it is placed. 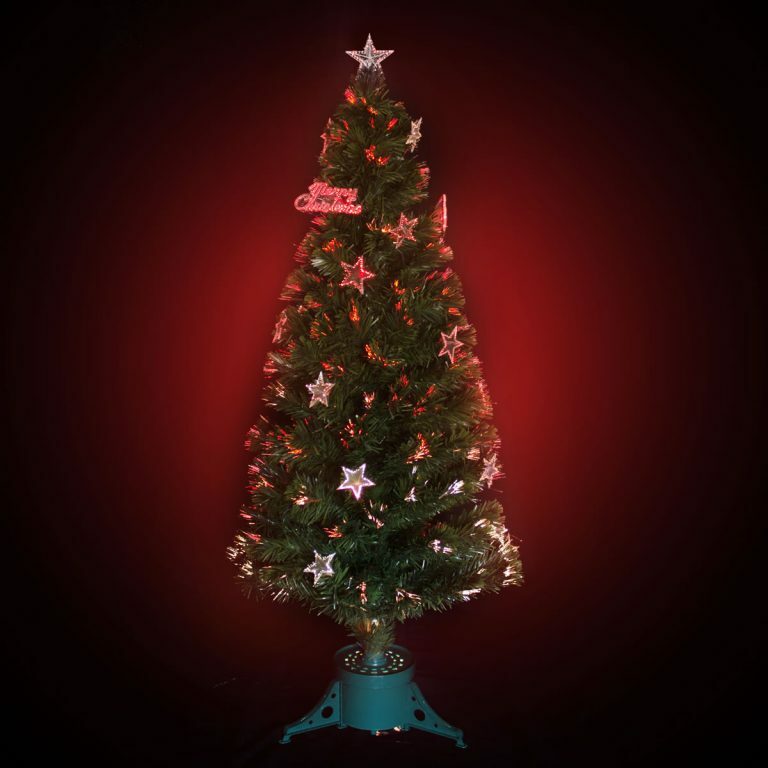 With easy assembly, a green pot base and a gold star to top off the starburst effect, the Starburst Fibreoptic Tree is the perfect tree if you are ready to update your old faithful. If you have a bay window at the front of your house this tree would look delightful as it is, or decorated with some silver baubles. This is a tree that will remain contemporary and bring you joy for years to come. Simply pack it back in its box at the end of each festive season and store it somewhere dry and you will get years of service from the Starburst Fibreoptic Tree. The 210cm Starburst Fibreoptic Tree makes a statement wherever it is placed. 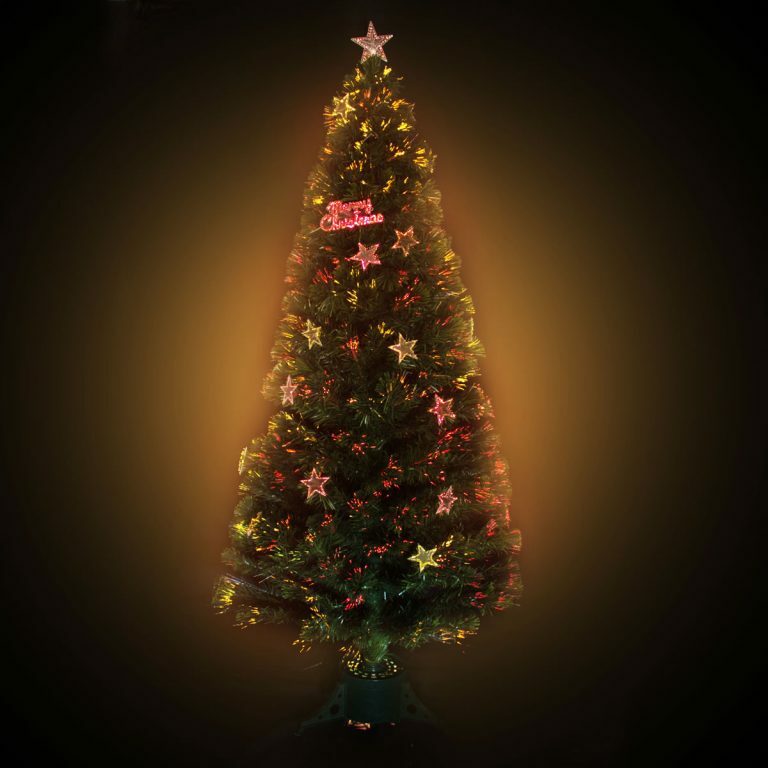 With easy assembly, a green pot base and a gold star to top off the starburst effect, the Starburst Fibreoptic Tree is the perfect tree if you are ready to update your old faithful. If you have a bay window at the front of your house this tree would look delightful as it is, or decorated with some silver baubles. This is a tree that will remain contemporary and bring you joy for years to come. Simply pack it back in its box at the end of each festive season and store it somewhere dry and you will get years of service from the Starburst Fibreoptic Tree.